Come November, Minnesotans may decide whether the sales tax they pay for a variety of auto-related services — from oil changes to car rentals — should be dedicated solely to road and bridge improvements across the state. Introduced at the Capitol this legislative session, the measure would require amending the state’s Constitution to set the money aside. If voters approve, more than $250 million collected annually from existing auto parts, leases and rental sales taxes would be used exclusively to bolster the state’s transportation network. But first, the concept has to gain traction among state lawmakers — and not everyone thinks it’s a good idea. 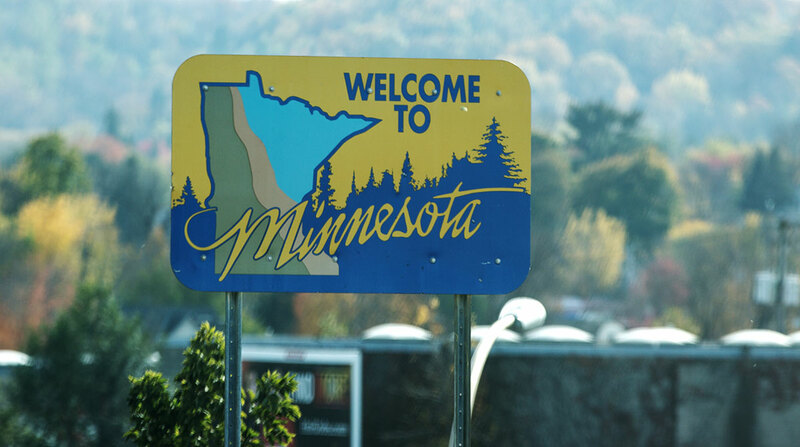 A coalition consisting of business, community, agricultural and construction trade unions called Vote Yes 4 Roads has emerged this session to push the measure, claiming 76% of 500 Minnesotans recently polled statewide support the notion. “With a Republican majority in the Legislature, they told us they were not terribly supportive of increasing taxes for transportation,” said Margaret Donahoe, executive director of the Minnesota Transportation Alliance. But, at the same time, there appears to be broad support to fix roads and bridges. The American Society of Civil Engineers said in a 2017 study that about 6% of the state’s bridges are structurally deficient, and 15% of its roads are in poor condition. “With a [budget] surplus, we kept hearing from legislative leaders they couldn’t justify raising taxes,” Donahoe said. “It’s a political nonstarter,” said Abbey Bryduck of the Associated General Contractors of Minnesota, a St. Paul-based industry group. She said the amendment would be the equivalent of a gas tax increase of 9 cents. “I’ve so far been telling everyone that I’m solidly on the fence,” said Rep. Paul Torkelson (R-Hanska), who heads the House Transportation Committee. “I’m waiting for more information. One person who doesn’t figure much in the machinations of the debate is Gov. Mark Dayton, since the ballot measure would not need his support to move forward. But in his State of the State address in March, Dayton called the ballot idea a “deceptive solution” and urged legislators to come up with a different way to finance the “roads, bridges and modern transit systems that Minnesotans need." “Everyone driving in our state knows that traffic congestion and highway conditions keep getting worse, wasting their time and straining their sanity,” the governor noted. Proponents of the bill say just 0.6% of the general fund — the state’s operating budget — would be prioritized for transportation infrastructure upgrades. Of the $250 million collected from the sales tax on auto parts, $145 million is slated to be dedicated for roads and bridges by fiscal 2020, according to Donahoe. “We’d like the Legislature to finish the job and find some way to get it to 100%,” she said. Tax revenue from auto rental and lease sales already are used for roads and bridges. The amendment would make it permanent.